My QP DS is up for sale. I will eventually put it on eBay, etc. But for now I am just listing here. A bigger family vehicle (read SUV) has been requested by Mrs. and with me having committed to an Atom for next year, I have had to relent. I can only take so much nagging! The QP is known to a few members on here and has served me well over the last four years. It's Nettuno Blu with Beige interior and walnut wood inserts. It also has Road Pilot installed with laser detection. This is very useful if a speed gun is pointed at the car. Also alerts to normal speed cameras and variable ones. 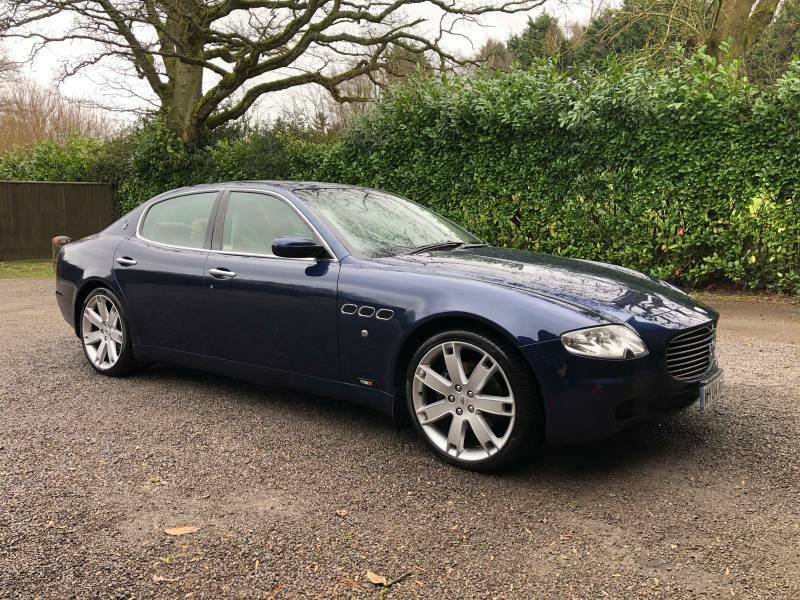 The QP has full documented service history and has been looked after independent garages of Grimaldi, Shiltech, Autofficina and lately by Voicey at AV Engineering. It has done 81000 miles. I am putting it up here with a new MOT and a full service. The QP runs as expected with a great sound track and effortless acceleration. Clutch is 94% worn. So will need replacing when it gives up. It has been advised to let it run as long as it can unless it starts slipping. It is not doing so now and gear changes are very much as expected. One wheel is badly scuffed and will need refurbishing. All were refurbished 2 years ago at the time of changing from standard to the current ones. The QP is cleaned and maintained to a good standard but stone chips and bubbling paint spots are consistent with age. There is one set of scuff marks on off-site front bumper caused by some irresponsible, careless driver in a superstore car park. However this has been largely cleared and is not apparent unless standing very close to the QP. 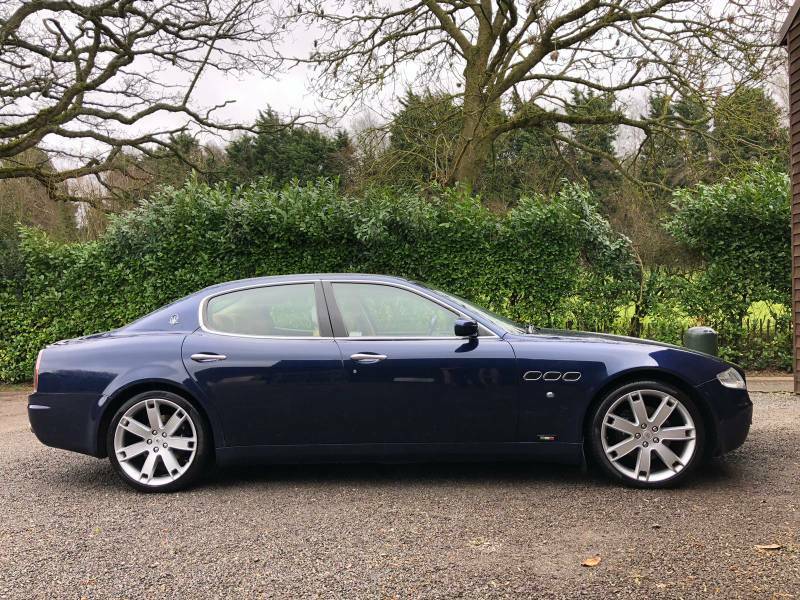 I reckon a good price at this time would be about £ 15k but I am willing to accept a bit less from forum members. Couple of photos attached as well. Please PM me if interested and to discuss further. Good luck with the sale......looks nice. How frustrating is that Atom build time wait eh!!! Thanks Wattie. It will not be easy for me to see it go. I have developed an emotional bond to it. Having had the pleasure of following this car through the Hindhead tunnel I must say it sounds absolutely epic! Very kind. Hopefully someone will show some interest and drop in to see it. I can say with confidence it will definitely be hard to resist for any credible car enthusiast. Beautiful, good luck with your sale! Stunning Car indeed and remember it well from Enzos custodianship. Probably one of the classiest colour combinations ever. Aye but only if you’ve owned it six months in UK before importing it and I believe you can only do one a year. Correct, I have owned the RR long enough so that's not an issue and we have already transferred one of the other cars into the wifes name to allow her to bring that in. Anything over 30 years is exempt so that allows most of the classics in and we will probably move on the QP which only leaves the Q4 as an issue. That is currently being restored and there is no chance that it will be complete in the near future so that decision can wait. Nightmare isn’t it! One of the reasons I left Dublin, that and the cost of plastic bags, one euro in Dunnes! That would be great indeed. I am in Surrey between Guildford and Woking. I do tend to do Brooklands but I am hoping the QP will be sold by then. Where about's are you? Please let me know if you have any plans locally. On a purely financial footing it doesn't make much sense although University costs are significantly cheaper than the UK but on a quality of life especially for an old fart like me who plans to retire, either partially or fully, in the next few years the balance seems to be in the positive. Haha... MLC is round the corner from you! Lovely car and i hope you get a good price from a worthy new owner. Beautiful example of an early DS, really. However, as a prospective 'buyer', not to rain on your parade but 15k is not where the market is for a high mileage DS. To the right buyer though, you can charge a few thousand more for a well cared for example! 25-50k mileage 09'-11 autos are 17-23k. QPs are hard to shift at the best of time, I know that only too well, but need to be realistic. A very good luck man.